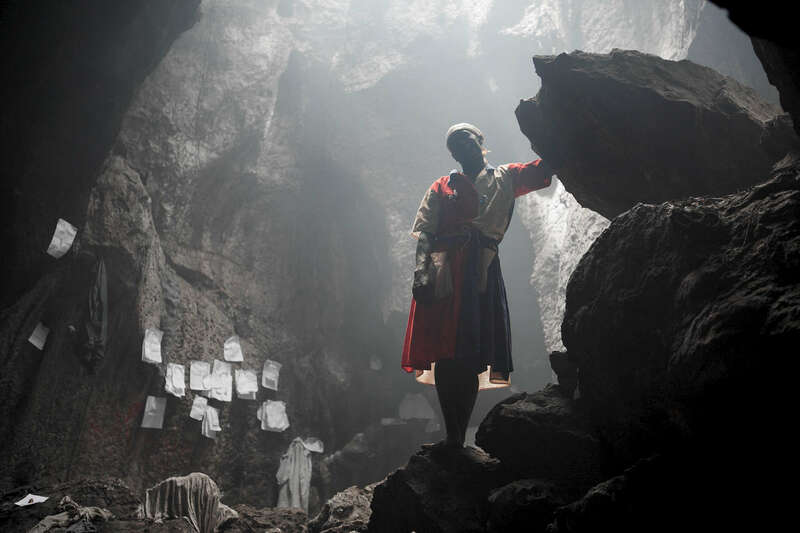 A Vodouisant pilgrim stands in silhouette in the sacred grotto of St. John. White papers containing prayers and wishes are placed into the walls of this cave which was inhabited first by the native Taino indians and has since become a holy site of pilgrimage for the followers of Vodou. These caves have been visited for centuries.